To try and understand how the Native American nations formed in North America is like trying to explain how the countries in Europe came about. There wasn’t always a British, or French, or Polish nation – these developed over time. Sometimes, over centuries. The nations we now know as Germany and Italy, for instance, only came into being in the nineteenth century. And, so it was with the native North Americans. Over time nations were conquered by other nations, or were assimilated, or just became extinct; to give a few examples. Here in the Southeast coastal area, the tribes the Europeans first came into contact with were called the Guale (pronounced “wall – ee”). They were a peaceful people; which probably explains why we don’t really here much about them. After the Guale came the Choctaw. Then, came the Creeks. These were the peoples that we know about south of the Savannah River. On the north part of the river, the people were known as the Yemessee, or Yamessee. They fought a brutal war with the Colony of South Carolina; one which they lost. Most of the survivors would migrate to Florida and join the Seminole. When James Oglethorpe first scouted out the Savannah River to find a suitable spot to lay out the Colony of Georgia, he came upon a people who called themselves the Yamacraw. They were a nation that formed from people on both sides of the river. Yamassee to the north and Creek to the south, hence an amalgamation of both names to become the Yama-Craw. At the time, the Yamacraw were a nation of about two hundred people. The title by which they called their leader was the “Mico”. The Mico was an extraordinary man by the name of Tomo Chi Chi. First, he was imposing. He stood around 6’8” tall. (At the time, most Englishmen were around 5’6”. Oglethorpe was a tall six feet, but was dwarfed by Tomo Chi Chi). And next, he was VERY old. We believe he was around ninety at the time. And, like Oglethorpe, he was a visionary. The two developed a great deal of respect for each other from the start, and signed a “Treaty of Friendship”. 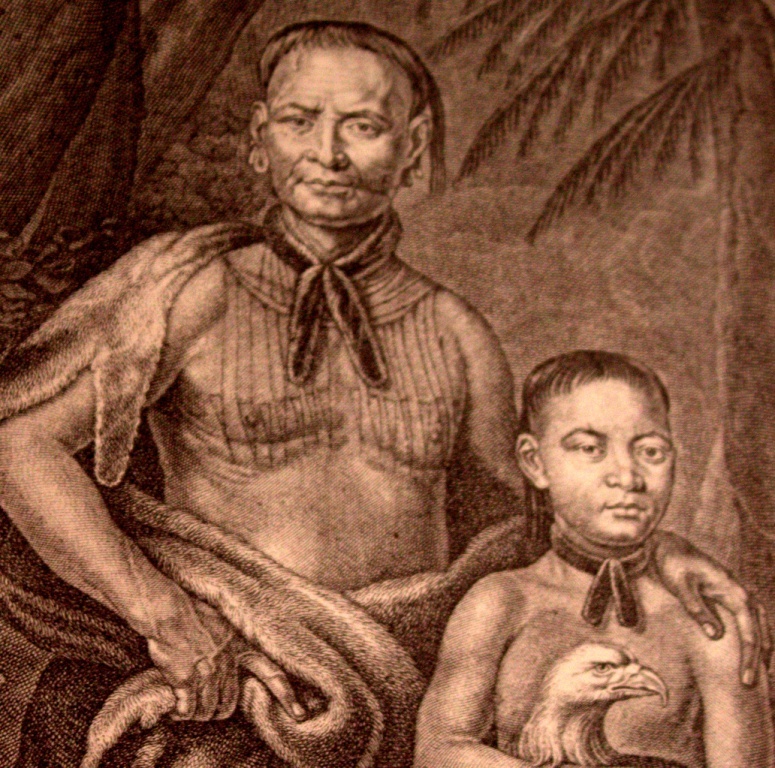 As a matter of fact, the Colony of Georgia never really had any real problems with the Indians because of the mutual respect and friendship these two men shared. The Creeks would join Oglethorpe in his attempt to conquer St. Augustine. Oglethorpe would even take Tomo Chi Chi, his wife Sanauka and nephew and heir Toonahowi to England to meet King George the Second, who treated Tomo Chi Chi as an equal. But, that does leave one question, how did they communicate? The answer is a half English, half Creek princess whose Anglican name of Mary Musgrove. A story that one of our guides will be happy to tell you about when you visit us here in Savannah.